The main role of carpet padding (also known as a cushion or underlay) is to absorb impact that would otherwise cause the carpet to wear down more quickly. A trip through local carpet stores – Portland-based or elsewhere – would reveal the other purposes served by carpet padding, including fostering efficient cleaning (the padding allows the carpet to be lifted slightly by vacuums, making for a deeper clean), heat and sound insulation, and a softer feel for those walking on the carpet. Firmness is an important thing to test when selecting carpet padding. When padding is too soft, it “bottoms out” and transfers most of the impact to the carpet, which is the very problem that padding is meant to prevent. To design proper padding for various applications, carpet padding specialists measure variables such as compression load deflection (CLD) and indentation force deflection (IFD). The big-picture view here is that carpet padding is rated according to the pounds of force it can absorb in a certain area. Padding may also be described in weight, but the most important thing to remember is the pounds per footfall that the padding can absorb. Urethane is a plastic-based foam that is available in various densities and thicknesses. Bonded urethane is recycled from urethane foam from furniture and car seats. Just as engineered wood is made of compressed recycled wood, bonded urethane is made of compressed recycled urethane foam. The CCC suggests a weight density of 5 pounds per cubic foot with urethane foams, with a 3/8-inch thickness for low-traffic zones. For areas that will see more traffic, a 3/8-inch thickness and a 6.5-pounds-per- cubic -foot weight density is best. One tip for a beautiful carpet, Do not buy urethane or bonded urethane that contains Bht, which can cause discoloration down the road. You’ll quickly see that flat rubber padding is the priciest option. However, the higher price is worth it if you can afford it, since rubber padding lasts the longest of all padding materials. Rubber padding may even survive several different carpet installations. (Usually the padding is replaced at the same time as the carpeting.) This is the king of padding for every carpet. If your main priority is comfort will appreciate the luxurious feel of rubber padding underfoot. You’ll find more specific recommendations but in general a 19-22-pound density is recommended for flat rubber padding. As you’d probably guess, flat rubber padding is excellent for high-traffic areas. Often made from jute, fiber cushion carpet padding is great for the environment. If you’re installing carpet directly over concrete subflooring, fiber cushion is a great choice because it is resistant to moisture. 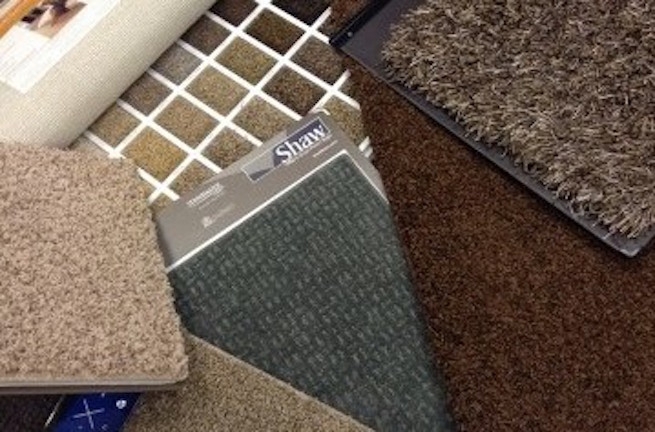 Here at Area Floors, we currently carry carpet padding from Leggett & Platt and Healthier Choice, both of which offer superior products in a variety of materials. For more information about what type of carpet padding is best for you, visit our showroom and talk to one of our experts.